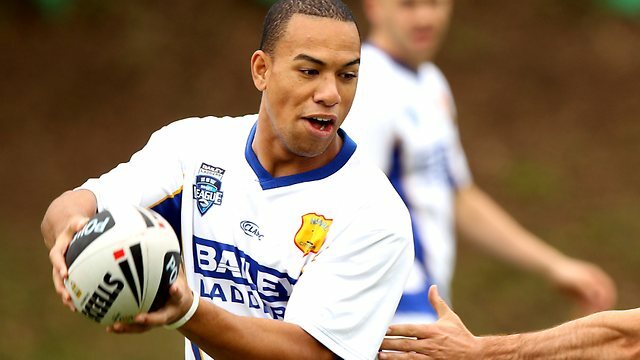 Lagi played his junior football in Ipswich, Queensland, playing rugby union, before being signed by the St. George Illawarra Dragons. He played for the Dragons’ Premier League reserve-grade team in 2006. In Round 2 of the 2007 NRL season he made his NRL debut for the Dragons against the Newcastle Knights. In 2008, Setu played 2 games for the Dragons’ Toyota Cup team, scoring 1 try. He then signed a contract with the Brisbane Broncos starting in 2009. In 2010, Setu announced he would be leaving the Broncos to serve a 2-year mission for The Church of Jesus Christ of Latter-day Saints in Birmingham, England starting in 2011. 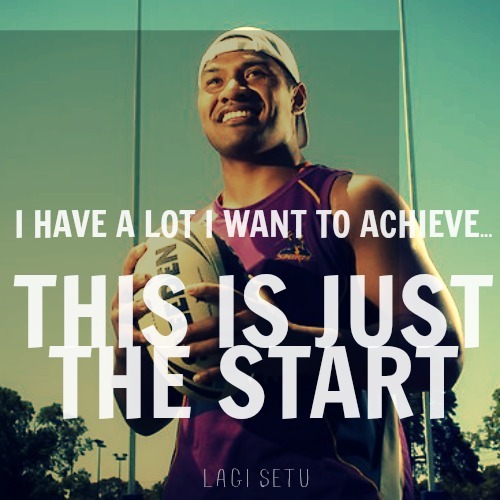 After returning from his missionhe signed with the with the Melbourne Storm starting in 2013. Lagi says his two years as a Mormon missionary without playing Rugby actually made him a better footballer. He served in the England , Birmingham Misson. Lagi Setu shocked the rugby world when he left his lucrative professional career in 2010 to serve a two-year proselytizing mission for The Church of Jesus Christ of Latter-day Saints—sometimes inadvertently called the Mormon Church. As the 2010 season came to a close, people were asking, “What is he thinking?”  But members of The Church of Jesus Christ know exactly what he was thinking. Joshua 24:15 reads, “Choose you this day whom ye will serve … but as for me and my house, we will serve the Lord.” For Setu, that meant leaving everything and going on a mission. …I give unto men weakness that they may be humble; and my grace is sufficient for all men that humble themselves before me; for if they humble themselves before me, and have faith in me, then will I make weak things strong unto them (Ether 12:27). But lessons he learned on his mission pulled him through the tough times.